Welcome to the Lyell-Otis neighborhood! Please invite your nice neighbors to come along! - This is an all-volunteer partnership between LONA and the Flower City Pickers at the Rochester Public Market and the Lyell Branch Library. - We never know what items will be donated, but we do the best we can with what we receive. - LONA really is Where Neighbors Help Neighbors! Click here for more information regarding the Comprehensive Plan for the City of Rochester - Rochester 2034! Please click here for more information regarding the ROC The Riverway Program! 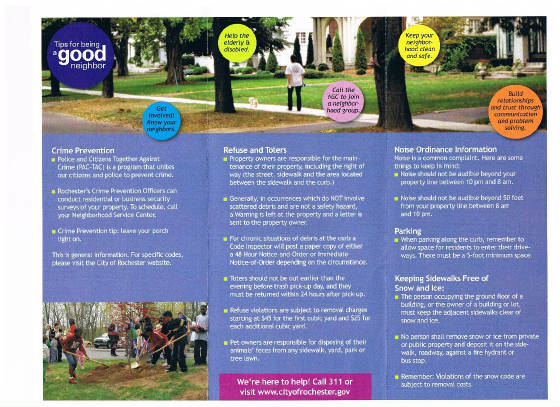 Lyell-Otis Neighborhood Association (LONA) is located in the City of Rochester, NY. It's in the Northwest Quadrant of the city. We border Gates and Greece. Our boundaries are: The Erie Canal (the City Line) on the West, Lyell Ave. on the South, Driving Park Boulevard on the North, and the old subway bed (long since filled-in, which previously was where the Erie Canal flowed!) on the East - almost to Dewey Avenue, but not quite. Mission Statement, or "Who We Are"
The Lyell-Otis Neighborhood Association is an all-volunteer organization that works to better the quality of life in the neighborhood. We are always trying to increase our active membership numbers, and trying to attract more owner-occupied homes into our area. We have been diligently working with the city to improve this issue, as well as many others. We recently rebuilt a playground after getting the project funded by local elected officials and local health care agencies, so as to improve the area for our youngest neighbors. 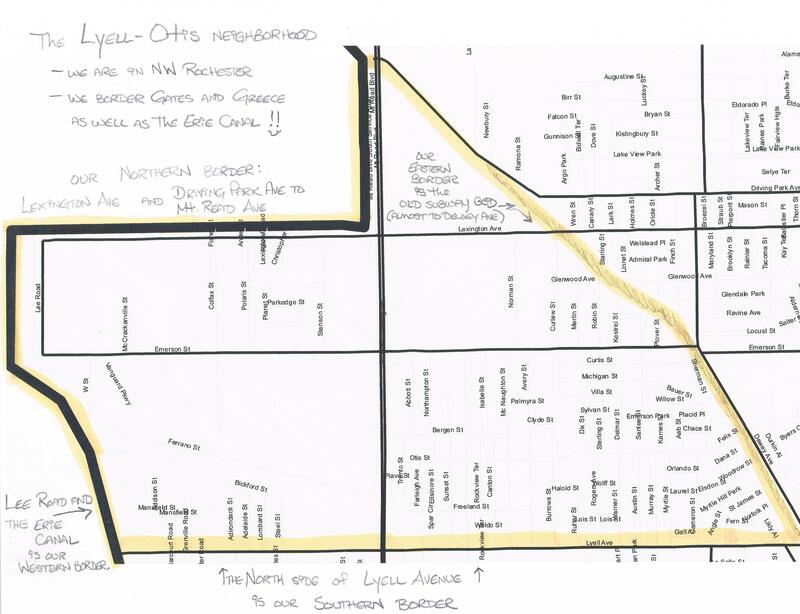 Click Here to learn about the HISTORY of our Lyell-Otis area! PLEASE REMEMBER TO "LIKE" OUR FACEBOOK PAGE! That is where the most up-to-date information can be found! We always want to help our local community by being proactive, and help our local law enforcement agencies be as effective as possible. This is why our facebook page is so terrific, because the info can help keep us all connected when time is a factor! Also, I always try to post on our facebook page any information that might be of interest to those with children, like events at our library, or in our community. We want to be a leader in the future of our city, and we want you there to be an integral part of making the positive changes happen! Please join us as we work to make our neighborhood better! Hi! This is Pam! Your friendly Lyell-Otis Neighborhood Association Public Relations Coordinator! I try my best to keep this web site up-to-date and as clear as possible, but please know that your feedback is always welcome! I look forward to helping make our Lyell-Otis Neighborhood a shining example of how we live happily in the City of Rochester! 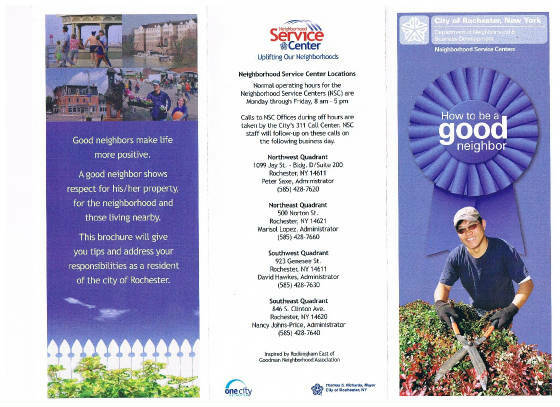 Our neighborhood needs YOUR input! We want to make sure that our neighbors have ample time and opportunity to voice their ideas and suggestions on what we feel is best for our neighborhood!